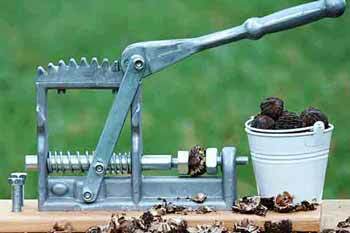 The industrial black walnut cracker will smoothly crack the hardest of nuts! 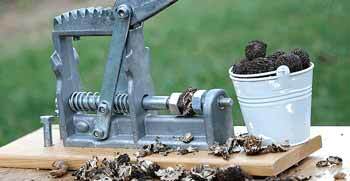 Black walnuts and other hard shell nuts stand no chance against the powerful gear-lever action. Soft shell nuts like pecans and English walnuts are child's play, effortlessly compressing and releasing the goodies inside! No assembly required. Purchased this about a month ago and just started using it. Couldn't believe how good it does. All the other crackers will smash the walnut if you are not very careful to the amount of force applied. But this one uses the rotation of the handle and the gears to crack the walnut with about 1/4 inch of movement. Never smashing the Black Walnut. Great Design. Fast Shipping. best for cracking black walnuts. you cannot beat it. Wow! It's nuts how fast this cracker came to my door. ordered on Monday, had it on Wednesday! The cracker was a little stiff and it took a few tries to get the cracker "running like butter on a conveyor belt", but I think that might have been user error. I began my second batch to crack with ease and was cracking walnuts like I had been doing it all of my life. The cracker is easy to use and quick after the first few walnuts. I would recommend this to anyone! It can really handle Black Walnuts! 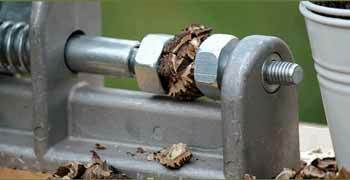 Love this nutcracker, it has made cracking walnuts so much easier. 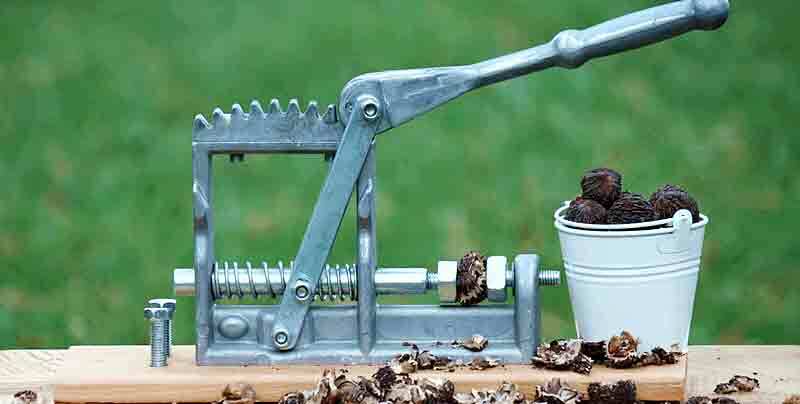 I love canning walnuts to use in recipes during the winter, and using a hammer just wasn't getting the job done efficiently, I took a risk and invested in this nutcracker...best risk I've taken on a product.